Sebring, Fla. (18 March 2018) – After securing a record-setting pole position in qualifying on Friday, Spirit of Daytona Racing kept the No. 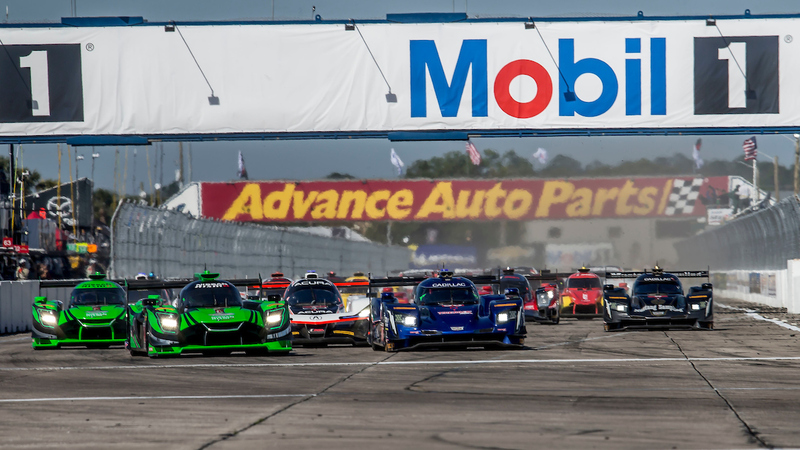 90 Cadillac DPi-V.R at the sharp end of the field for much of the Mobil 1 Twelve Hours of Sebring presented by Advance Auto Parts on Saturday, hoping for a podium finish in their home state. Unfortunately, the team had to suffer disappointment with only 105 minutes remaining as a hard crash into the Turn 17 wall ended their bid for victory in the IMSA WeatherTech SportsCar Championship’s endurance classic. 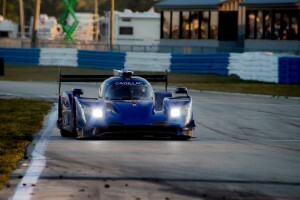 Drivers Tristan Vautier, Matt McMurry and Eddie Cheever lll fought hard for over 10 hours, making the most of the Spirit of Daytona Racing-prepared Cadillac DPi-V.R with consistently quick lap times through the ever-changing track conditions. Over the span of 16 pit stops, the crew performed flawlessly and the drivers kept the car in contention, with lap times that consistently shadowed the race leaders. After earning the pole, Vautier started the race and held strong at the start to lead the opening 14 laps, setting the third quickest lap of the race, with a lap time of 1:49.108-seconds. 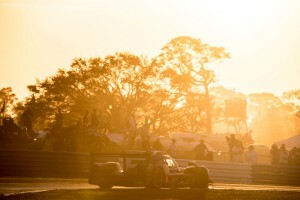 The team fought back from every setback the race had to offer, including a drive-through penalty after making contact with another Prototype while fighting for position. The crew had just performed their final driver change just before 9:00 p.m. from McMurry to Vautier, when Vautier, on cold tires and on his out lap from pit lane, got into the marbles in Turn 17 and made hard contact with the tire wall on lap 294. McMurry saw the team’s pace as a promising sign that a solid finish was on offer, and is proud of what the team had to offer this weekend. To get so close to the end of the race only to have it end early was a disappointment, but luckily the team knows there’s a podium result that is right around the corner. Despite the way the race ended for Spirit of Daytona racing, the team is leaning on the effort put in my both the crew and drivers to have a result good enough for a podium. The team had managed the conditions and the pit strategy with a keen eye towards a late-race shootout. The Spirit of Daytona Racing team will return to the home base in DaytonaBeach to prepare for the next round of IMSA WeatherTech competition.